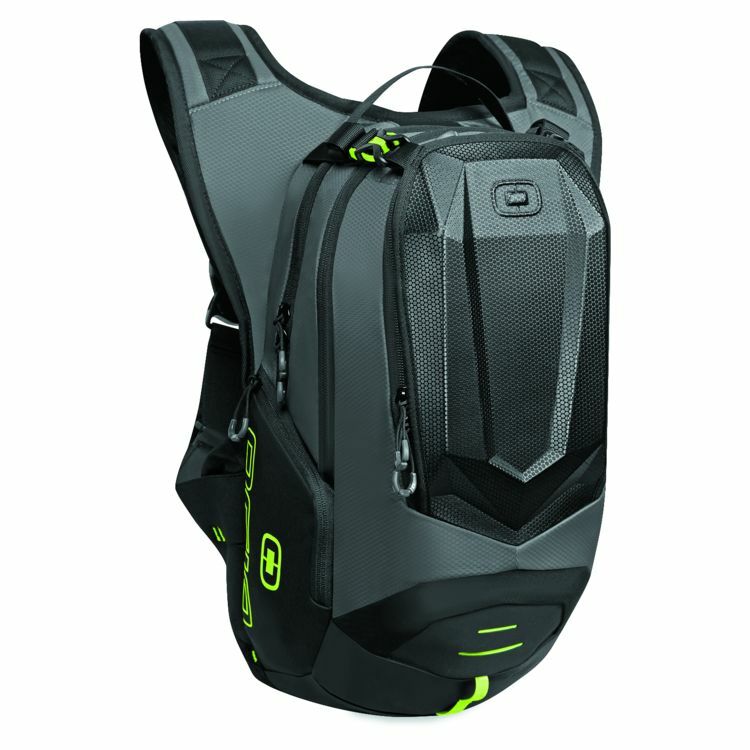 The OGIO Dakar 3L Hydration Pack is the perfect blend of style, storage capacity and hydration bladder size for a day trip of hitting the back roads on your sport bike. The molded angular shell and mini honeycomb rip stop fabric will look right at home when paired with your two-wheeled missile. A centrally fastening shoulder harness system will keep the bag planted firmly on your back even when you're moving from side to side like Rossi in a Mugello chicane. 100 ounces of H2O keeps your mind cool while you're sinking gobs of heat into your poor tires. ive been using this bag for a few months now and have been really enjoying it, the chest strap are comfy tight and super easy to adjust on the fly. it just the right size for a minimalist kit. Will a 15" macbook pro fit? So, does this fit a 15” laptop?? BEST ANSWER: No way. It's too small for that. Does it come with the bladder? Or is it just an empty pack and I supply my own? BEST ANSWER: In the description it says it comes with the bladder.